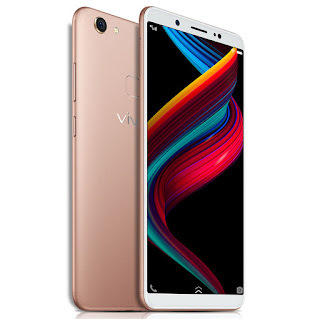 Vivo launched Vivo V7 Plus in India with Snapdragon 450 processor and 24MP front-facing camera Now Vivo has launched Vivo Z10 in India which comes with same Specs as Vivo V7 Plus difference is storage. Vivo Z10 has a 5.99-inch IPS Full View Display with 1440 x 720 pixels resolution and 84.4% screen to Body ratio Powered by 1.8GHz Qualcomm Octa core Snapdragon 450 processor with Adreno 506 GPU. It has a 4GB of RAM and32GB of internal Storage which is further expandable with MicroSD card. It has Dedicated MicroSD slot and Dual SIM support. It runs on Android 7.1.2 Nougat with Funtouch 3.2 OS out of Box, No Details if Phone will be getting Android Oreo Update. Vivo Z10 comes in Blue, Black and Gold colors, is priced at Rs. 14,990 and available through offline stores in Karnataka, Telangana, Andhra Pradesh and Tamil Nadu. Vivo V7 Plus is now available in India for Rs 19,990 which is Rs 5000 higher than Vivo Z10 which has 32GB internal storage compared to 64GB Storage on Vivo V7 Plus.